William Henry Harrison's presidency was memorable, but undoubtedly not for the reason he would have liked. He passed away one month after delivering a record-length 1 hour and 45 minute speech at his inauguration on a rainy day in March. The story goes that he contracted pneumonia and died soon after, but as a new video from Business Insider explains, there was likely another factor at play that ties him to the deaths of two other presidents elected that decade: contaminated drinking water. James K. Polk, elected in 1844, suffered from gastroenteritis while in the White House and died of cholera three months after leaving. 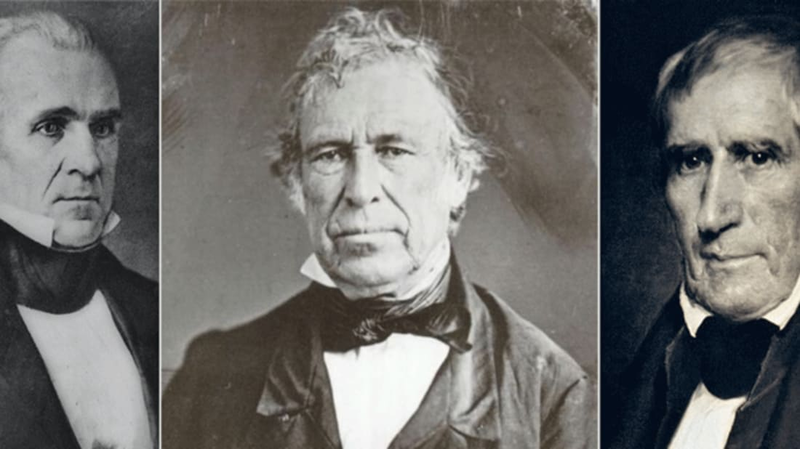 Zachary Taylor, elected in in 1848, succumbed to gastroenteritis while still in office. After looking back through the journals of Harrison's physician, some historians now believe that this may have been the same condition that led to W.H.H. 's demise. It's true that he was experiencing pneumonia-like symptoms at the time of his death, but his constipation and abdominal distension were reported as being more severe. His physician even admitted to leaning toward pneumonia as the cause of death because it was the simplest explanation. Historical researchers believe the life-threatening stomach issues suffered by all three presidents can be traced back to a single cause. In the 1840s, D.C. didn't yet have a modern sewer system and the White House sourced all its water from a nearby spring—which also happened to be a few blocks downhill from a sewage dump, a perfect breeding ground for deadly bacteria that cause gastroenteritis. The possibly contaminated supply of drinking water is the likely culprit behind the presidents' digestive distress (though history books often link Taylor's deadly bought of gastroenteritis to a snack of iced milk and cherries he'd consumed a few days prior). And while Harrison's rambling, underdressed inauguration speech may not have been the true cause of his death, it certainly couldn't have helped in conjunction with a case of deadly tummy troubles.